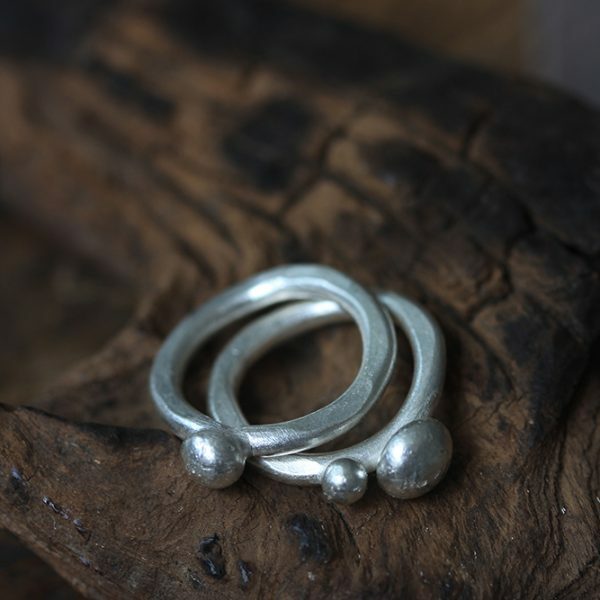 The rings are made of 3mm round profile silver wire in 95% pure silver, whereas the silver beads attached to the top were made by “spilling” 100% pure molten silver on the floor – in this way organic, irregular shape beads were obtained, a bit differently each time we make them. They look beautiful if you wear them separately or all together. 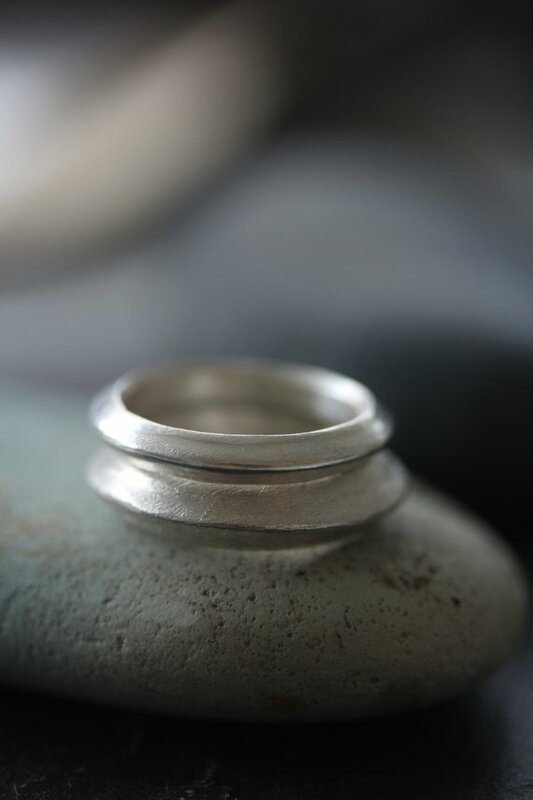 Our products are hand crafted in silver by Thai Karen hill-tribe artisans by means of traditional tools and techniques. The Karen are a group of ethnic peoples who reside primarily in southern and southeastern Burma and in northern and north-eastern Thailand. Thai and Burmese hill tribes can be traced back to the 12th century when they are said to have originated from Tibet. Karen silver has a weight, bright satin color and feel, all of its own. Every piece is handmade and individual. 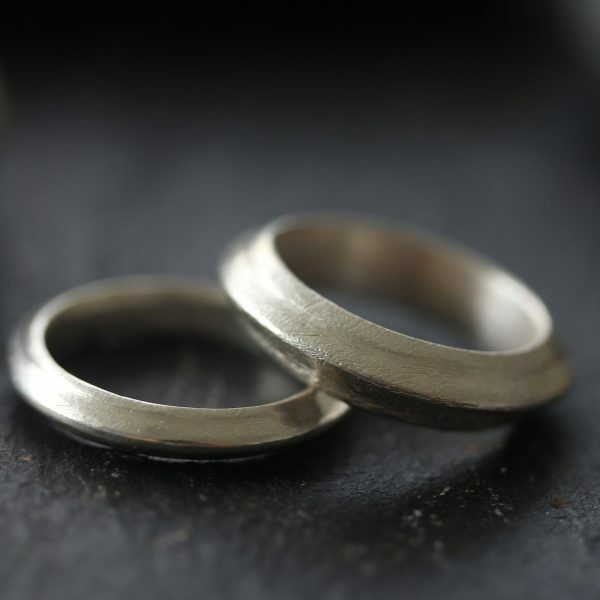 These rings are available in sizes between 5 and 9.5. For larger sizes please contact us before ordering. PLEASE DON’T FORGET TO TELL US YOUR SIZE WHEN ORDERING.